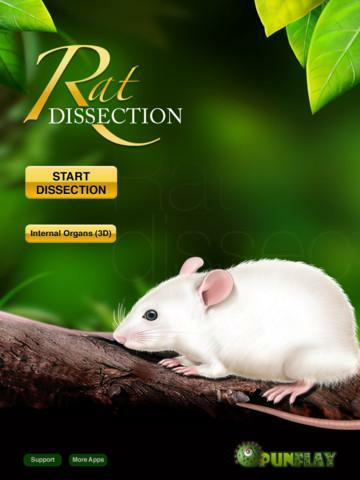 Rat Dissection for the iPad has been designed for middle and high school students. The content for the app has been validated by subject matter experts to ensure accuracy. Users can get a feel for dissecting a rat on the iPad without ever inflicting any harm on the animal. The app walks you through a series of steps on how to dissect a rat. All you have to do is to simply follow the written instructions along with voice-over to dissect and explore the rat’s internal organs. Besides a virtual chloroformed specimen, Rat Dissection comes with all the dissection tools. The organs are all presented as 3D images. Users can tap on the individual organs to see what they look like from different angles. Detailed information on the organs is provided to help the student learn about their structure and function.